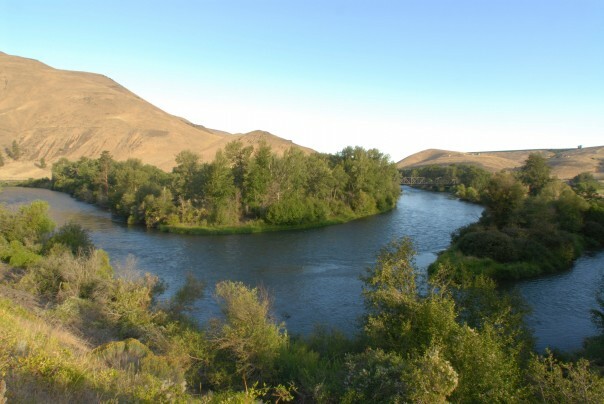 Fifteen miles of scenic river perfect for fly-fishing, river rafting, or viewing 2,000-foot canyon walls that house nesting hawks, eagles, and falcons. 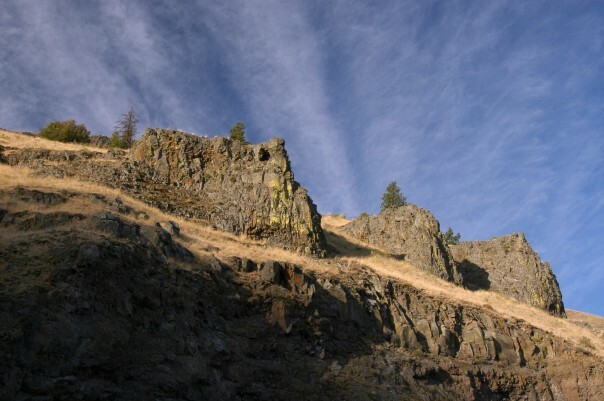 Located just beyond the eastern border of the Central Cascades region, the basalt cliffs gently rise up to 2000 feet and are layered throughout the canyon and appear to the traveler like soft pillows, gray and brown dappled with color in the summer, white in the winter and green in the spring. Fall color in the canyon is spectacular. The land through the canyon was recognized long ago for its scenic and wildlife value, and is held in the public trust, so there is little commercial infringement in the driving and viewing experience. 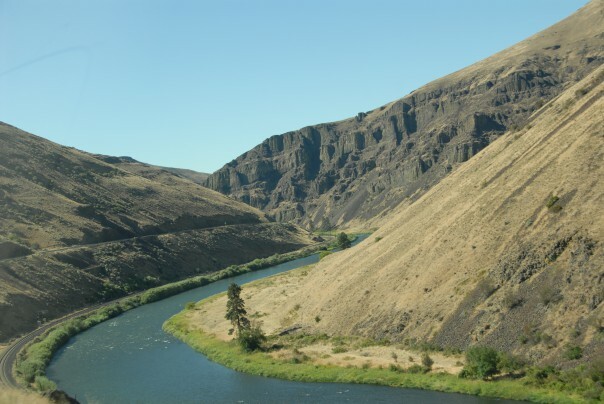 The Yakima River Canyon represents the historic travel route for Native American peoples in the region. There are also remnants of historic white settlements in the canyon and significant public lands. The shrub-steppe environment is endangered and the Canyon is an excellent example of some of the best remaining habitat. Local non-profit groups and agencies have banded together to work on habitat restoration, conservation and education in and around the Canyon.